Other Products by Carusos Natural Health. Search other Memory and Concentration products. 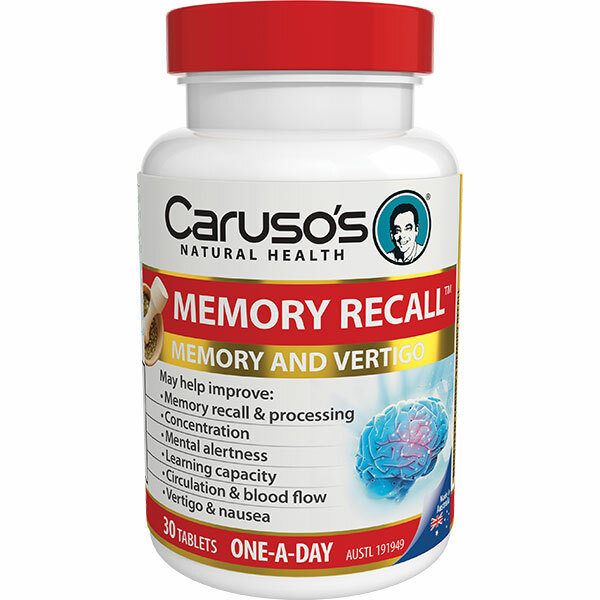 Caruso's Natural Health Memory Recall is therapeutically formulated to assist memory and tinnitus. Memory Recall is a high potency formulation containing Ginkgo biloba, Bioflavonoids, Ginger, Vitamin B6 and Vitamin B12. Memory Recall contains Ginkgo which can increase circulation and vital nutrients such as oxygen to the brain so it can function optimally. Memory Recall acts as a circulatory stimulant, increasing cerebral blood flow which may improve memory and concentration and cognitive function. The Ginkgo Biloba in Memory Recall may also provide relief from tinnitus. Ginger has been added to Memory Recall to assist the nausea associated with vertigo and may also provide relief from motion sickness. Memory Recall has been further enhanced with the addition of Vitamin B6 and Vitamin B12 to assist energy and provide nervous system support as both fatigue and stress can affect the brain's performance. Adults - Take 1 tablet a day with main meals or as advised by your healthcare professional. For more intensive use, take 1 tablet twice a day with main meals or as advised by your healthcare professional. Assist memory and brain function; Increase learning capacity; Improve working memory and cognitive performance; Provide relief from tinnitus (ringing in the ears); Assist motion sickness; Assist vertigo and related nausea; Increase strength of capillaries; Improve cerebral blood flow. Individuals suffering with tinnitus; Students; Elderly; Individual who suffer from motion sickness or nausea asscoiated with vertigo; Any individual wishing to improve memory recall and cognitive function. 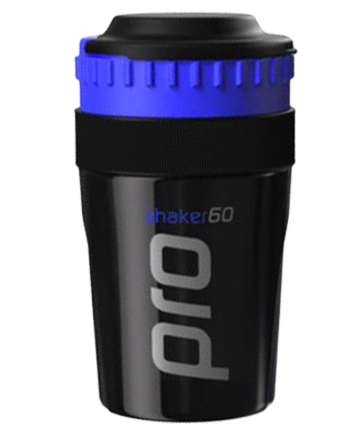 Free from added sugar, dairy, lactose, wheat, gluten, corn starch, yeast, soy, corn, animal products and preservatives.